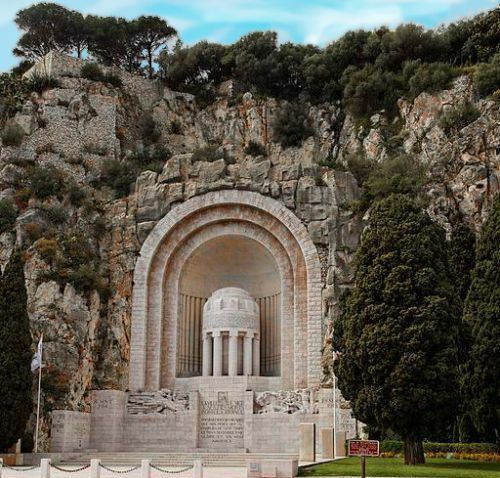 The Monument aux Morts de Rauba Capeau is a sea-facing memorial in the old quarry cliffs of the castle hill commemorating the 4000 Nice citizens killed during WWI. The Monument aux Morts de Rauba Capeau is a sea-facing memorial in the old quarry cliffs of the castle hill commemorating the 4000 Nice citizens killed during WWI. Designed by Roger Séassal, it has bas-reliefs by Alfred Janniot.